German Hotline has operators on standby 24/7, who are willing to be subjected to verbal abuse from angry customers, for a fee. 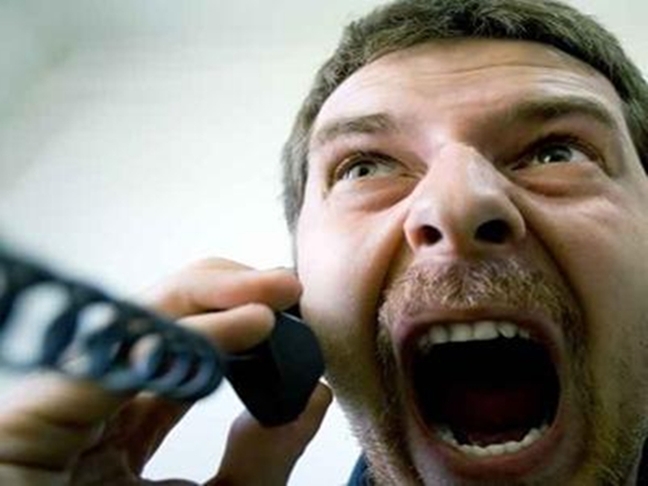 A phone hotline established by two entrepreneurs in Germany earns money from angry customers who would like to blow off the steam by swearing and lashing out to their heart’s content. The creators of the service was inspired by their own stressful daily routines. They believe that they ware doing people a favor by giving them an outlet to release their bottled up aggravation, to avoid altercations at home and in the workplace. The swearing hotline named “Schimpf-los” (German for “swear away”), has operators, that are available 24/7, who are ready to receive verbal abuse from people who need to release their stress. They even taunt their customers, provoking them to be more creative with their swearingm, using lines like ”That’s the third time I’ve heard that today” or “Is that all you’ve got?”. The service costs €1.49 per minute.